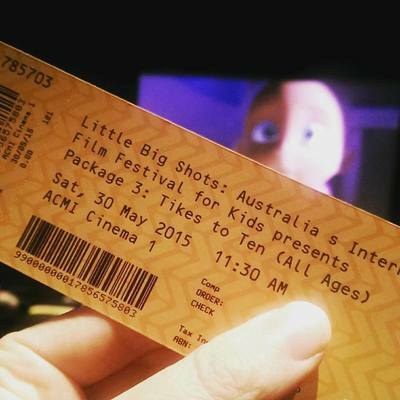 From 1 to Sunday 10 July 2016, the Little Big Shots film festival returns to the ACMI. The KidTown Melbourne crew thoroughly enjoyed last year's Little Big Shots festival (read about our experience HERE), and can't wait to head back this year. To give you a better understanding of what Little Big Shots is all about, we've interviewed Ben Laden, the Artistic Director of Little Big Shots International Film Festival for Kids. Q. For those that don't know, can you tell us what Little Big Shots is? Little Big Shots is Australia’s largest and longest running international film festival curated especially for kids aged 2 to 12. It runs for ten days from Friday 1 July, beginning on the first day with a special Opening Gala event. The festival is designed to entertain young minds and inspire future filmmakers, featuring a selection of the best local and international films, made both for kids, and by kids. Q. Why do you think it is important to expose children to short films from around the world? The program features a diverse and exciting array of films that introduce kids to cultures and ideas from places they've perhaps never heard of. This kind of exposure is great for their development. Plus at the end of the day they get to see some extraordinary cinematic gems, including films by their school-aged peers as well as award-winners and predicted award-winning films. I mean who doesn't want to know what sort of films that make in the Republic of Moldova? It really is a feast for curious young minds and their adults. Q. How do you select the films that appear in the annual Little Big Shots International Film Festival? I travel a lot to festivals around the world and I'm also learning about this thing called ‘The Interweb’ for research! Over the years, many of the films screened at Little Big Shots have gone on to win big awards like The Oscars, such as The Lost Thing by the wonderful Australian writer and animator, Shaun Tan and last year the wonderful film, Bear Story, by Gabriel Osorio from Chile. 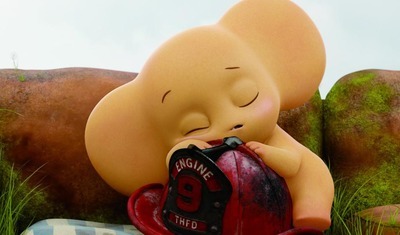 Both films won ‘best animated short film’ at The Academy Awards after screening at Little Big Shots. 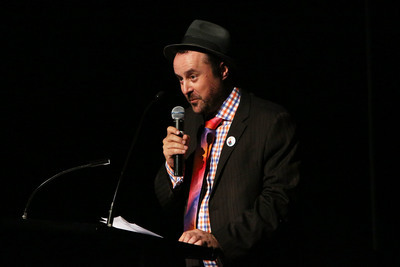 At Little Big Shots we’re always searching for really special films with great messages and beautiful cinematography that will speak to all the members of our audience right around Australia, so it doesn’t surprise me that many of the films and filmmakers we screen at the festival go on to even greater heights! Q. It is a long process to organise each program? There's a lot of tinkering in an effort to try and get things just right. Sometimes they come together quickly, but other times it can be a tricky puzzle to solve. Luckily we have help from our Little Big Shots Kids Jury – a dozen kids aged between 6 and 12 who will work with to select the films in our Best of the Fest session. They’ve chosen some films that will no doubt be popular viewing, such as Johnny Express about a space man from the future, Cookin with Fire about a determined pirate/chef. Then there’s some great child-made films too including; Clay vs Fridge and Alone This Time. Q. Can you tell us about your partnership with the ACMI? Have you annual film festivals always screened at the ACMI? Yes, ever since the first festival in 2005!. However, this year is a really important year as although we have once again programmed Little Big Shots as it will appear at ACMI, for the first time this year it will be one of ACMI’s internal programs. It feels very grown-up and we're taking it one step at a time, but I think 2016 is going to go off like a frog in a sock, in a fireworks factory, that is on fire! On a more serious note though, it really consolidates the relationship between Australia's premiere film festival for kids, and Australia's premiere organisation for the moving image, so it is great to be joining forces with ACMI, an organisation that has always been like a big sister to Little Big Shots. The program also includes films made as part of ACMI’s Screen It competition, so there is a real overlap in the importance we place of fostering talent and interest in film from an early age. Q. What are your fav picks of this year's Little Big Shots International Film Festival? I love so many in this year's program. Achoo! from Japan is a cracker about the journey of a drop of water. Queen Bum is very sweet tale about bedtime stories. Bear and Bird is a hilarious story about two friends and a little BO problem. Then there’s Bunny New Girl, the first short film from award-winning Australian director Natalie van den Dungen that tells the story of a girl’s first day at school, and one of last year’s Best of the Fest runners up who our kids jury have awarded Best Child-Made Film this year: Clay Vs Fridge. That film is from 12-year-old Alako Myles, and is about a group of friends who discover as mysterious kitchen appliance. Q. Are we to expect any surprises from this year's program? Well then they wouldn't be surprises would they? Ok I will say there's a great film by some Belgian kids with a rather interesting take on the story of Snow White. Definitely wins the award for best title of the year. Watch out for that one. Q. Where does the money go that is raised from the Little Big Shots International Film Festival? Good question. It all goes back into making the next festival and tour. For any parents reading this, we’re always on the look out for extra help to manage the festival operations in the coming year. Our new Friends of the Festival subscription system is now up and running now and you can also make a tax deductible donation to the festival. Just go to our website at www.littlebigshots.com.au or call us at 0427 952 220. See you all at Little Big Shots at ACMI from 1 to 10 July, and remember if you're coming to the Opening Night Gala, dress to impress! Tickets are only $10 Full, $9 ACMI Member.